rhis delightful village inn is situated in a peaceful ocation just a short drive from the town centre. 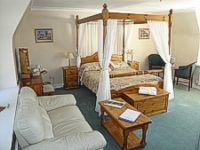 The Jed rooms are generally quite spacious, and each one is ;martly appointed with modern furniture and coJrdinated soft furnishings. 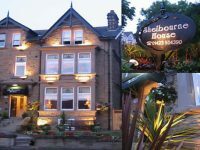 Public rooms include a beamed bar and a cosy restaurant serving an interesting choice of dishes.